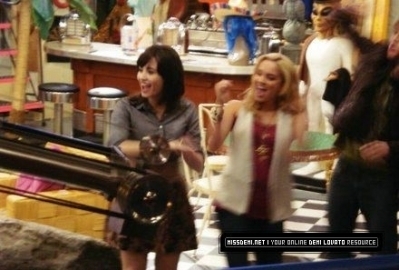 Behind the scenes of Sonny with a chance. . Wallpaper and background images in the Sonny Munroe club tagged: sonny with a chance disney channel behind the scenes. This Sonny Munroe photo might contain pianist, korrepetitor, accompanyist, begleiter, and liedbegleiter.